Эта книга - учебник по Autoconf, Automake и Libtool. GNU-шные мануалы рассматривают каждый из этих инструментов в отдельности . Нет руководств , которые рассматривают эту работу вместе . The Metaconfig program, by Larry Wall, Harlan Stenn, and Raphael Manfredi. The Cygnus `configure' script, by K. Richard Pixley, and the original GCC `configure' script, by Richard Stallman. These are quite similar, and the developers communicated regularly. GCC is the GNU Compiler Collection, formerly the GNU C compiler. The GNU Autoconf package, by David MacKenzie. Imake, part of the X Window system. These systems all split building a program into two steps: a configuration step, and a build step. For all the systems, the build step used the standard Unix make program. The make program reads a set of rules in a `Makefile', and uses them to build a program. The configuration step would generate `Makefile's, and perhaps other files, which would then be used during the build step. Metaconfig and Autoconf both use feature tests to determine the capabilities of the system. They use Bourne shell scripts (all variants of Unix support the Bourne shell in one form or another) to run various tests to see what the system can support. The Cygnus `configure' script and the original GCC `configure' script are also Bourne shell scripts. They rely on little configuration files for each system variant, both header files and `Makefile' fragments. In early versions, the user compiling the program had to tell the script which type of system the program should be built for; they were later enhanced with a shell script written by Per Bothner which determines the system type based on the standard Unix uname program and other information. Imake is a portable C program. Imake can be customized for a particular system, and run as part of building a package. However, it is more normally distributed with a package, including all the configuration information needed for supported systems. Metaconfig and Autoconf are programs used by program authors. They produce a shell script which is distributed with the program's source code. A user who wants to build the program runs the shell script in order to configure the source code for the particular system on which it is to be built. The Cygnus and GCC `configure' scripts, and imake, do not have this clear distinction between use by the developer and use by the user. The Cygnus and GCC `configure' scripts included features to support cross development, both to support building a cross-compiler which compiles code to be run on another system, and to support building a program using a cross-compiler. Autoconf, Metaconfig and Imake did not have these features (they were later added to Autoconf); they only worked for building a program on the system on which it was to run. The scripts generated by Metaconfig are interactive by default: they ask questions of the user as they go along. This permits them to determine certain characteristics of the system which it is difficult or impossible to test, such as the behavior of setuid programs. The Cygnus and GCC `configure' scripts, and the scripts generated by autoconf, and the imake program, are not interactive: they determine everything themselves. When using Autoconf, the package developer normally writes the script to accept command line options for features which can not be tested for, or sometimes requires the user to edit a header file after the `configure' script has run. The Cygnus `configure' script and the original GCC `configure' script both had to be updated for each new Unix variant they supported. This meant that packages which used them were continually out of date as new Unix variants appeared. It was not hard for the developer to add support for a new system variant; however, it was not something which package users could easily do themselves. The same was true of Imake as it was commonly used. While it was possible for a user to build and configure Imake for a particular system, it was not commonly done. In practice, packages such as the X window system which use Imake are shipped with configuration information detailed for specific Unix variants. Because Metaconfig and Autoconf used feature tests, the scripts they generated were often able to work correctly on new Unix variants without modification. This made them more flexible and easier to work with over time, and led to the wide adoption of Autoconf. In 1994, David MacKenzie extended Autoconf to incorporate the features of the Cygnus `configure' script and the original GCC `configure' script. This included support for using system specified header file and makefile fragments, and support for cross-compilation. GCC has since been converted to use Autoconf, eliminating the GCC `configure' script. Most programs which use the Cygnus `configure' script have also been converted, and no new programs are being written to use the Cygnus `configure' script. The metaconfig program is still used today to configure Perl and a few other programs. imake is still used to configure the X window system. However, these tools are not generally used for new packages. By 1994, Autoconf was a solid framework for handling the differences between Unix variants. However, program developers still had to write large `Makefile.in' files in order to use it. The `configure' script generated by autoconf would transform the `Makefile.in' file into a `Makefile' used by the make program. A `Makefile.in' file has to describe how to build the program. In the Imake equivalent of a `Makefile.in', known as an `Imakefile', it is only necessary to describe which source files are used to build the program. When Imake generates a `Makefile', it adds the rules for how to build the program itself. Later versions of the BSD make program also include rules for building a program. Since most programs are built in much the same way, there was a great deal of duplication in `Makefile.in' files. Also, the GNU project developed a reasonably complex set of standards for `Makefile's, and it was easy to get some of the details wrong. These factors led to the development of Automake. automake, like autoconf, is a program run by a developer. The developer writes files named `Makefile.am'; these use a simpler syntax than ordinary `Makefile's. automake reads the `Makefile.am' files and produces `Makefile.in' files. The idea is that a script generated by autoconf converts these `Makefile.in' files into `Makefile's. As with Imake and BSD make, the `Makefile.am' file need only describe the files used to build a program. automake automatically adds the necessary rules when it generates the `Makefile.in' file. automake also adds any rules required by the GNU `Makefile' standards. The first version of Automake was written by David MacKenzie in 1994. It was completely rewritten in 1995 by Tom Tromey. Over time, Unix systems added support for shared libraries. Conventional libraries, or static libraries, are linked into a program image. This means that each program which uses a static library includes some or all of the library in the program binary on disk. Shared libraries, on the other hand, are a separate file. A program which uses a shared library does not include a copy of the library; it only includes the name of the library. Many programs can use a single shared library. Using a shared library reduces disk space requirements. Since the system can generally share a single executable instance of the shared library among many programs, it also reduces swap space requirements at run time. Another advantage is that it is possible to fix a bug by updating the single shared library file on disk, without requiring all the programs which use the library to be rebuilt. The first Unix shared library implementation was in System V release 3 from AT&T. The idea was rapidly adopted by other Unix vendors, appearing in SunOS, HP-UX, AIX, and Digital Unix among others. Unfortunately, each implementation differed in the creation and use of shared libraries and in the specific features which were supported. Naturally, packages distributed as source code which included libraries wanted to be able to build their own shared libraries. Several different implementations were written in the Autoconf/Automake framework. In 1996, Gordon Matzigkeit began work on a package known as Libtool. Libtool is a collection of shell scripts which handle the differences between shared library generation and use on different systems. It is closely tied to Automake, although it is possible to use it independently. Over time, Libtool has been enhanced to support more Unix variants and to provide an interface for standardizing shared library features. `configure' runs tests on your system to determine the availability of features (or bugs!). The results of these tests can be stored in a cache file to speed up subsequent invocations of configure. The presence of a well primed cache file makes a big improvement when configuring a complex tree which has `configure' scripts in each subtree. Outputs a help message. Even experienced users of `configure' need to use `--help' occasionally, as complex projects will include additional options for per-project configuration. For example, `configure' in the GCC package allows you to control whether the GNU assembler will be built and used by GCC in preference to a vendor's assembler. One of the primary functions of `configure' is to generate output files. This option prevents `configure' from generating such output files. You can think of this as a kind of dry run, although the cache will still be modified. As `configure' runs its tests, it outputs brief messages telling the user what the script is doing. This was done because `configure' can be slow. If there was no such output, the user would be left wondering what is happening. By using this option, you too can be left wondering! Prints the version of Autoconf that was used to generate the `configure' script. It is important to stress that this behavior is dependent on the generated files making use of this information. For developers writing these files, Automake simplifies this process a great deal. Automake is introduced in . Similar to `--prefix', except that it sets the location of installed files which are architecture-dependent. The compiled `emacs' binary is such a file. If this option is not given, the default `exec-prefix' value inserted into generated files is set to the same values at the `prefix'. Specifies the location of installed binary files. While there may be other generated files which are binary in nature, binary files here are defined to be programs that are run directly by users. Specifies the location of installed superuser binary files. These are programs which are usually only run by the superuser. Specifies the location of installed executable support files. Contrasted with `binary files', these files are never run directly by users, but may be executed by the binary files mentioned above. Specifies the location of generic data files. Specifies the location of read-only data used on a single machine. Specifies the location of data which may be modified, and which may be shared across several machines. Specifies the location of data which may be modified, but which is specific to a single machine. Specifies where object code library should be installed. Specifies where C header files should be installed. Header files for other languages such as C++ may be installed here also. Specifies where C header files should be installed for compilers other than GCC. Specifies where Info format documentation files should be installed. Info is the documentation format used by the GNU project. Specifies where manual pages should be installed. This option does not affect installation. Instead, it tells `configure' where the source files may be found. It is normally not necessary to specify this, since the configure script is normally in the same directory as the source files. Specifies a prefix which should be added to the name of a program when installing it. For example, using `--program-prefix=g' when configuring a program normally named `tar' will cause the installed program to be named `gtar' instead. As with the other installation options, this `configure' option only works if it is utilized by the `Makefile.in' file. Specifies a suffix which should be appended to the name of a program when installing it. Here, program is a sed script. When a program is installed, its name will be run through `sed -e script' to produce the installed name. Specifies the type of system on which the package will be built. If not specified, the default will be the same configuration name as the host. Specifies the type of system on which the package will run--or be hosted. If not specified, the host triplet is determined by executing `config.guess'. Specifies the type of system which the package is to be targeted to. This makes the most sense in the context of programming language tools like compilers and assemblers. If not specified, the default will be the same configuration name as the host. Using `--enable-feature=no' is synonymous with `--disable-feature', described above. Using `--with-package=no' is synonymous with `--without-package' which is described below. This option is really a specific instance of a `--with-package' option. At the time when Autoconf was initially being developed, it was common to use `configure' to build programs to run on the X Window System as an alternative to Imake. The `--x-includes' option provides a way to guide the configure script to the directory containing the X11 header files. Similarly, the --x-libraries option provides a way to guide `configure' to the directory containing the X11 libraries. Builds all derived files sufficient to declare the package built. Runs any self-tests that the package may have. Installs the package in a predetermined location. There are other less commonly used targets which are likely to be recognized, particularly if the package includes a `Makefile' which conforms to the GNU `Makefile' standard or is generated by automake. You may wish to inspect the generated `Makefile' to see what other targets have been included. The GNU Autotools name all types of computer systems using a configuration name. This is a name for the system in a standardized format. Some example configuration names are `sparc-sun-solaris2.7', `i586-pc-linux-gnu', or `i386-pc-cygwin'. All configuration names used to have three parts, and in some documentation they are still called configuration triplets. A three part configuration name is cpu-manufacturer-operating_system. Currently configuration names are permitted to have four parts on systems which distinguish the kernel and the operating system, such as GNU/Linux. In these cases, the configuration name is cpu-manufacturer-kernel-operating_system. When using a configuration name in an option to a tool such as configure, it is normally not necessary to specify an entire name. In particular, the middle field (manufacturer, described below) is often omitted, leading to strings such as `i386-linux' or `sparc-sunos'. The shell script `config.sub' is used to translate these shortened strings into the canonical form. On most Unix variants, the shell script `config.guess' will print the correct configuration name for the system it is run on. It does this by running the standard `uname' program, and by examining other characteristics of the system. On some systems, `config.guess' requires a working C compiler or an assembler. Because `config.guess' can normally determine the configuration name for a machine, it is only necessary for a user or developer to specify a configuration name in unusual cases, such as when building a cross-compiler. The type of processor used on the system. This is typically something like `i386' or `sparc'. More specific variants are used as well, such as `mipsel' to indicate a little endian MIPS processor. A somewhat freeform field which indicates the manufacturer of the system. This is often simply `unknown'. Other common strings are `pc' for an IBM PC compatible system, or the name of a workstation vendor, such as `sun'. The name of the operating system which is run on the system. This will be something like `solaris2.5' or `winnt4.0'. There is no particular restriction on the version number, and strings like `aix4.1.4.0' are seen. Configuration names may be used to describe all sorts of systems, including embedded systems which do not run any operating system. In this case, the field is normally used to indicate the object file format, such as `elf' or `coff'. This is used mainly for GNU/Linux systems. A typical GNU/Linux configuration name is `i586-pc-linux-gnulibc1'. 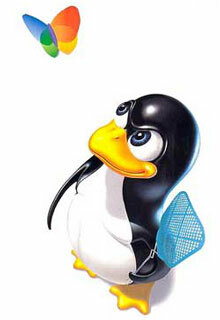 In this case the kernel, `linux', is separated from the operating system, `gnulibc1'. Compiling a simple package for a GNU/Linux system.